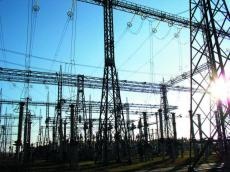 Azerenergy OJSC has taken all necessary operational measures for full restoration of power supply in the territory of Azerbaijan, head of public relations and press service of the Azerenergy OJSC Company Yahya Babanli told Trend July 4. Babanli noted that the energy supply of Azerbaijan was fully restored at about 03:30 on the night of July 3 to July 4 thanks to domestic production. "The energy supply in the country is stable at present. The latest event showed that Azerenergy OJSC has enough specialized personnel and the necessary technical capabilities for the prompt elimination of problems," Babanli said.